Art Deco Gifts provides Art Deco lovers with affordable Art Deco gifts inspired by the Art Deco era. The Art Deco Gifts Shop was inspired by years of admiring and collecting art from the roaring twenties era when life was gay, parties abundant and the mood was perfect for a new breed of creativity. In the Art Deco Gifts shop you will find magnificent examples from a collection of artists, redesigned with care and used to create everything from necklaces and trinket boxes to pillows and serving trays. From Icart to Cervenka, we have transformed their works into wonderful gifts for the home, jewely and women's apparel. 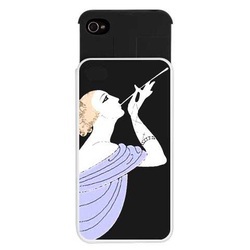 We have even created art deco iPhone and electronic cases so you can enjoy your love for art deco everywhere you go. There is no shortage of inspiration from our team, so check back often as we are always adding new items. Thank you for visiting and enjoy your shopping experience!